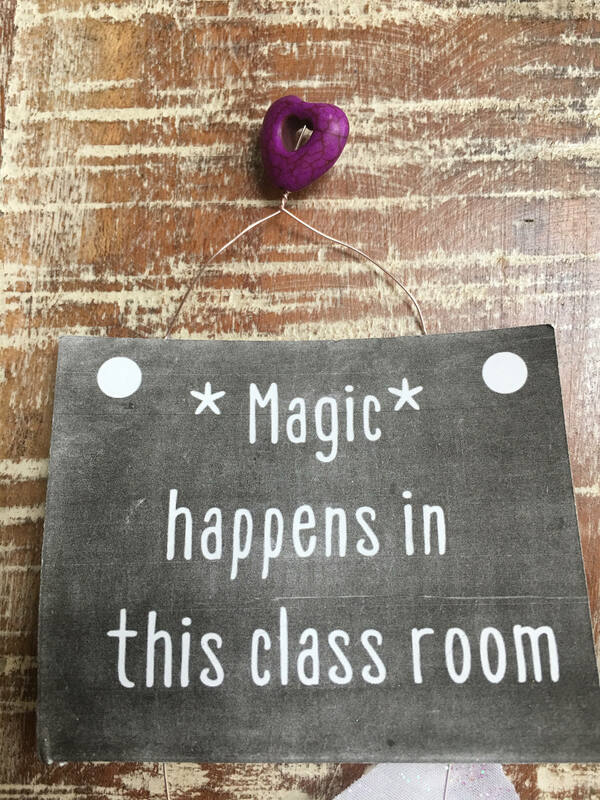 Everyone knows teacher's are MAGIC! 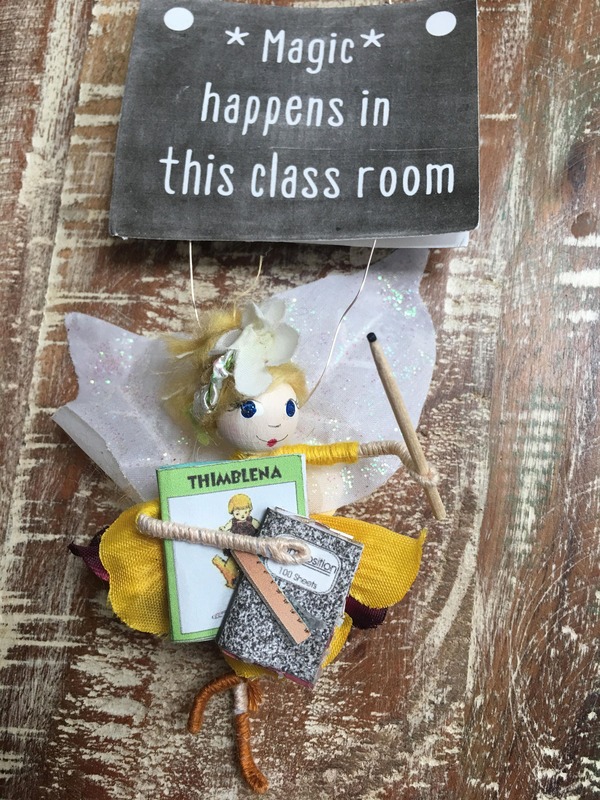 Why not let your child's teacher know how much you appreciate the magic that happens in her classroom with a custom Teacher's Fairy! 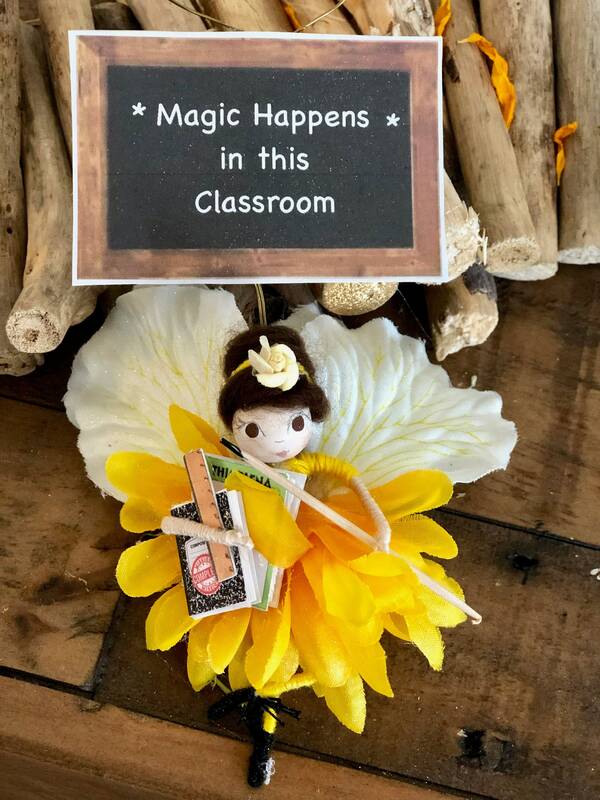 Customize her skin, hair and eye color so she matches the special teacher and choose whichever chalkboard quote you like (or make up your own!). 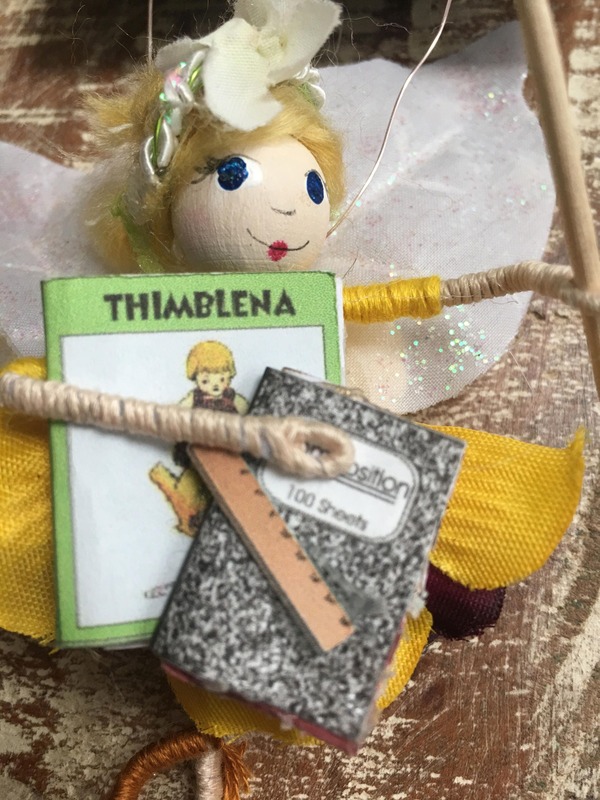 This little fairy comes compete with a notebook, a copy of a fairy-sized "Thimbelina", a ruler, and a pointer (a.k.a. The Teacher's Wand). 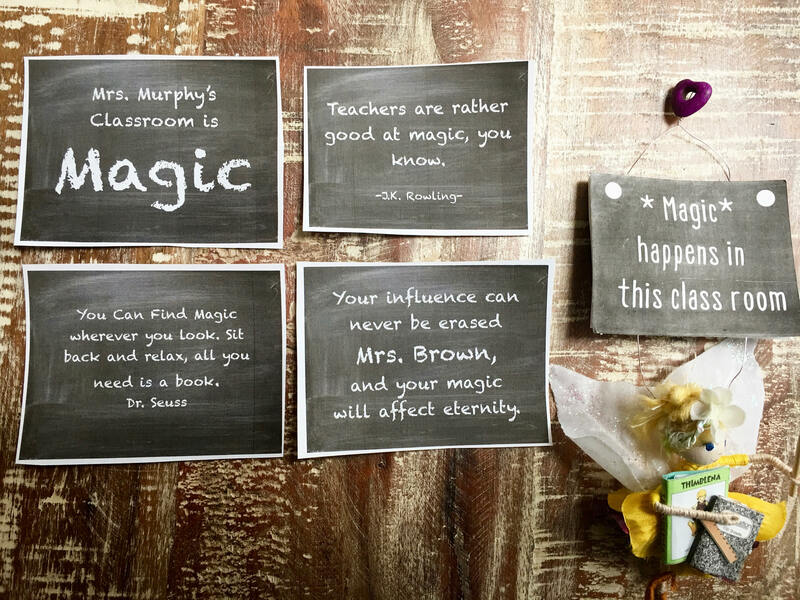 She hangs from a tiny chalkboard with your custom quote and she promises to spread magic throughout the classroom and into any teacher's heart. Select a quote from the pull-down menu, as well as the eye and hair combo you would like. Remember to include a short message or quote if you choose the custom quote option. Also, remember to provide the teacher's name if you choose a chalkboard with that option. Please specify skin tone (fair, medium, light brown, dark) otherwise fairy will be match photo. Order soon - the new school year is around the corner!